Welcome to the Lawrence Kia Service Center! When purchasing any vehicle, whether it’s a brand new Kia Sorento, Forte, Soul, Sportage or a quality used car, it’s important to consider that any automotive purchase is an investment worth maintaining for many years. That’s why we offer a team of ASE Certified Professionals that are also Kia Factory Certified technicians. At Lawrence Kia, our service center is the 6th best Kia service center out of 385 United States dealerships. Learn more about our dealership awards and service center awards. Today we rely heavily on transportation to get us to our destination, whether it’s work, school or running those stickler errands, which is why it’s even more important to keep up on your vehicle’s maintenance schedule. Our repair shop offers a wide range of services to our Lawrence customers such as routine oil changes, which are an easy, low-cost service that should not be overlooked and be done approximately every 3,000 miles or 3 months. Oil changes can also serve as a great benchmark for when other services need to be scheduled – like tire rotations, which may need to be done every third oil change. We are also proud to have partnered with Confident Financial Solutions (CFS) to extend a line of credit to our customers for service repair work. Here at Lawrence Kia we understand that your time is valuable and more often than not we find it difficult to schedule important maintenance checks and tune-ups into our hectic day-to-day schedules. This is why we do not require appointments. Service center walk-ins are welcome! But if you like to plan your service center visits, we have an online service scheduling system. Lawrence Kia’s service centers offer Express Service. This service will complete 3 vehicle maintenance items within 60 minutes and no appointment is required. Trust and reliability come standard at our Lawrence, Kansas repair shop and Kia service center. It is our goal to continuously provide our neighboring Olathe, Topeka, Overland Park, and the greater Kansas City area customers with award-winning auto repair and service. 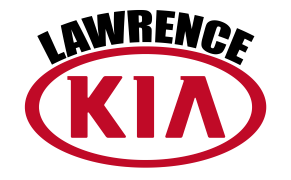 Our knowledgeable and talented service mechanics use quality parts and genuine Kia car parts. Before you begin searching for a local garage, be sure to give Lawrence Kia a call at 800-988-8624.